Custom software is the most durable and effective investment any business can make, and this is especially true of service industries. Businesses in the service industry face specific demands other businesses do not. This is in part thanks to the amount of time and attention they must spend on each customer. Customer service is the heart, soul, arms, and legs of any service industry business. On top of this, these same businesses often face dramatic seasonal shifts in demand, making their business difficult to manage both in front of and behind the counter. Fortunately, custom software development services can help businesses on both these fronts. It’s easy to see software as nothing more than an expensive, digital flyer. That isn’t true, though. Today’s market occupies the Internet as much, or even more, than physical locations. Companies can grow from garage start-ups to sprawling businesses with stock options and international sales without a single storefront. Although much of the service industry depends on physical locations, it’s a mistake to believe your service starts once a customer walks through the door. Service really begins when potential customers find you online. Your online presence will often determine the type and number of customers who will follow through with a purchase of services in person. It’s vital to use custom software that not only suits your business, but also your customers. If you’re hesitant to invest in custom software development, consider what your online presence says about your business. Do you have a basic website with information, or do you have a web or mobile app that allows customers to get a taste of your services in advance? Can potential customers schedule via the medium through which they found you, or will they have to stop and make a call? Do you have apps that interact with the customer, or just static information? The Internet was designed for communication, and unlike a newspaper ad, flyer, or billboard, apps give potential customers the chance to immediately respond. Why restrict your customers? All of this goes beyond the simple fact that, in the service industry, the customer is always supposed to be right. If you don’t make an effort to serve your customers from the first moment of contact, chances are high that they will find another service that will. Your front door has moved. It is no longer part of your physical location. The front bell rings the moment someone clicks on your business’s name online. Every business grows, sees temporary losses, and enjoys peek seasons. Unfortunately, this demands a good deal of flexibility from your software. The vast majority of programs cannot keep up with these changes. The service industry sees more of these changes than nearly any other type of business, which makes finding workable software particularly challenging. Custom software development services can help. By working with a team of professionals to develop a system that works through constant changes, you put yourself ahead of the competition and save time you could spend on your customers. Service industry professionals know that it’s important to get a professional for complex work, and they also know that custom products are superior to mass-produced or ready-made versions. Don’t forget that custom software development is a service, too, and the providers will already have a degree of insight into the service industry. You could just adapt how you use your software based on shifting demand, but that will take precious time away from your business. This is especially problematic when adjusting for peaks. If your business is already facing more demand than usual, why would you voluntarily spend a greater amount of time handling needless details behind the scenes? Running a business in the service industry is a demanding challenge. The reward is worth that challenge, though, and custom software can ease the burden of any business owner. Hiring custom software development services to create a web or mobile app for your customers is not only good marketing, but also excellent customer service. 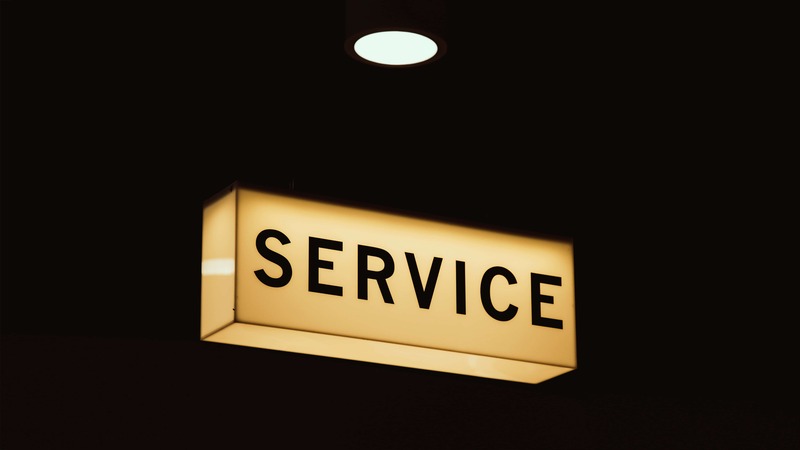 Demonstrate your commitment to service up front, and you’ll build customers’ confidence in the reliability of your primary services. Behind the scenes, custom software can save valuable labor and time better spent on the customers. Mass-produced software may not even be doing its job efficiently for businesses in the service industry. With the wild changes of seasonal demand in the majority of the service industry, it’s possible to lose all the money you saved on cheap software by investing endless hours of labor into adjustments and updates. Regardless of what kind of software you are looking to improve, front-end or back-end, consider getting custom products. They will serve you and your customers better than any premade competition.